Abstract : Lipases are biotechnologically vital cluster of enzymes reported to be produced by many species of animals, plants, bacteria, yeasts and fungi. Lipases of microbial origin that are employed in the detergent, dairy, cosmetic, food, and tanning industries are mostly engaging. The present study was aimed at partial purification of lipase produced from soil fungal isolate. Hyper producer strain was selected by growing fungal isolate onto the tributyrin agar media plates. Extracellular lipase was produced by inoculating the isolated strain in fermentation broth followed by incubation at 28ºC for 5 days at 120rpm. Mycelium free culture supernatant obtained after centrifugation of fungus broth was used for purification study. Among the ammonium sulphate precipitates, 60% fractionate showed the highest lipase activity and protein content, and on further dialysis the lipase activity was increased. 2.78 fold purification was obtained by 60% ammonium sulphate dialyzed precipitation which is higher than the fold purification of crude lysate. Keyword : Crude lysate, fungi, lipases, partial purification. Abstract : Opinions of students about current medical law application were investigated. Students (n=401) who participated in this study were enrolled in the health management undergraduate programs of various public and private universities. The data regarding important topics of medical law were gathered by questionnaires. In this study, the determination of the student concerns and some of their effects have been evaluated. It was found that the participants believed that patients tend to file lawsuits at high rates; current laws are not sufficient to protect healthcare workers; and regulations seem to protect patients more than health professionals. Legal refrain in health care workers may lead to behaviors that impede institutional goals and detract from patient-centered approaches. 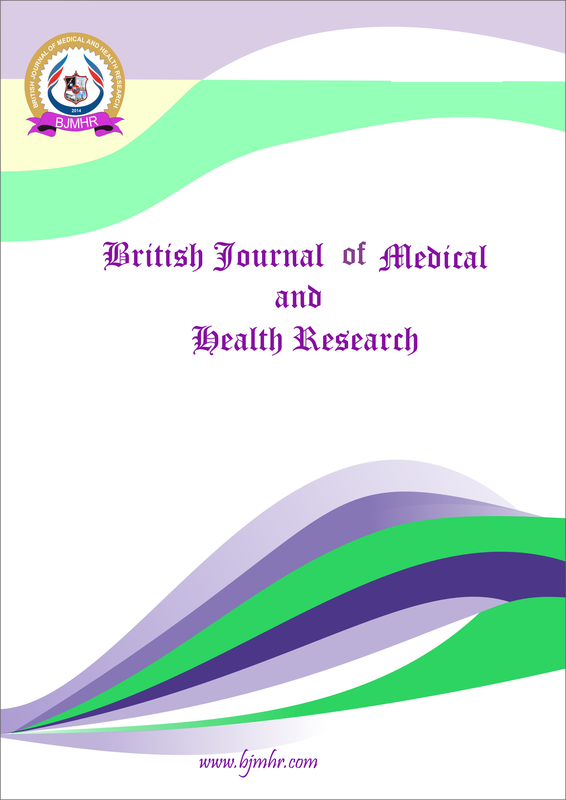 3 Importance of Ultrasonographic guided aspirated sample in early diagnosis of Musculoskeletal tuberculosis among the patients attending tertiary health care centre. Abstract : Introduction and Objectives Clinicians consider musculoskeletal tuberculosis as diagnostic dilemma because diagnosis frequently gets delayed due to its varied clinical presentation, false negative results on smear microscopy and less sensitivity on culture methods (20-40%). The main objective was to know the effectiveness of using ultrasonographic guided aspirate sample in early diagnosis of musculoskeletal tuberculosis. Materials and Methods In this study, a total of thirty seven clinical specimens like pus swab and ultrasonography guided (USG) pus aspiration of newly suspected musculoskeletal tuberculosis patients were evaluated for microscopy, culture and molecular detection of M. tuberculosis. Results The study reveals prevalence of 45.9% musculoskeletal tuberculosis among the clinically suspected patients. The most commonly involved sites in suspected musculoskeletal tuberculosis were hip joint (23.1%). USG guided pus comprises only 26.9% of the samples collected, however, yield of M. tuberculosis from them were 71%. PCR detected the maximum number of cases of musculoskeletal tuberculosis 17 (45.9%) followed by culture method 9 (24%) and smear microscopy 1 (2.7%). Conclusion This observation will help guiding clinicians in effective management of musculoskeletal tuberculosis cases because delayed diagnosis and treatment in musculoskeletal TB results in poor outcome.